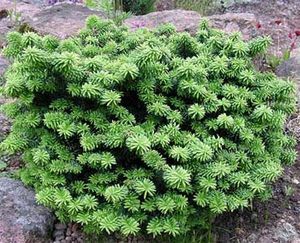 Dwarf-size evergreen plant with dense, globular form and horizontal spreading branches. Small, dark violet cones ripen to brown. Use in rock gardens.